Rapper Babymilo releases new EP album ‘My Ties’ | Sonic Smash-Music! The songwriter and producer of hip hop known as Babymilo has released his latest official EP album, “My Ties.” The EP album contains 12 original Babymilo tracks for an approximate total listening time of 35 minutes. It has been proudly published as an independent release without the involvement of the corporate music industry. 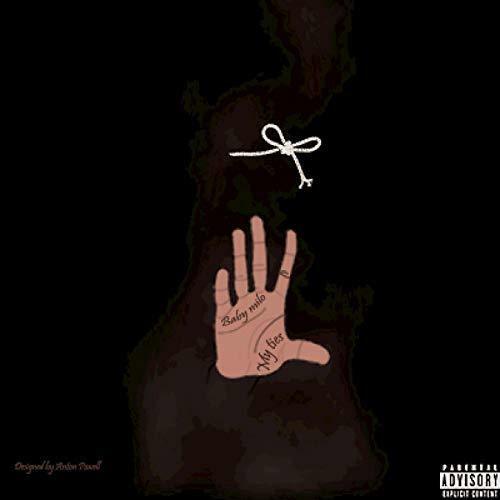 Explicit, direct, and packed with high performance and production values, “My Ties” showcases Babymilo as one of the most intriguing hip hop artists of the year so far. Babymilo cites as main artistic influences Young Thug, Pharrell, Snoop Dogg, Lil Wayne, 50 Cent, Tupac Shakur, and Biggie Smalls. Babymilo’s own sound has been described as slick, heavy-hitting and built on his unique brand of urban poetry. With an emphasis on rhythms, lines and rhymes, “My Ties” by Babymilo has a little something for everybody. When talking about his start in music, Babymilo speaks mainly of family. He’s also quick to quote his dad. “My Ties” by Babymilo is available from over 600 quality digital music stores online worldwide now. Get in early, hip hop fans. This entry was tagged babymilo, my ties, new indie hip hop.